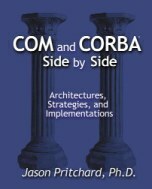 Excerpted from COM and CORBA® Side by Side: Architectures, Strategies, and Implementations by Jason Pritchard. Copyright © 1999. Reprinted by permission. All rights reserved. Send mail to jpritchard@pobox.com with questions or comments about this web site.